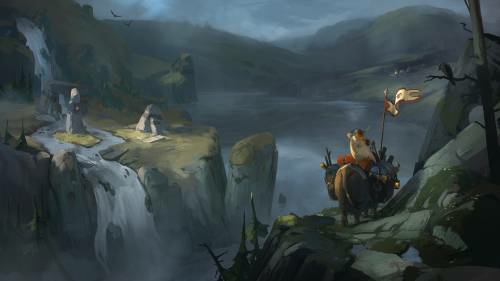 For Albion Online the final beta, until now it has been running for a little more than two months. It's safe to say that it's a good time, now that let's you know our view on the status quo of the game, in addition to this, you will get an update on the way forward. Compared to Beta 1, we have fixed a lot bugs, addressed some critical game design issues and added new exciting features and content to the game. On the other hand, some of the changes made between Beta 1 and Final Beta have created new issues that need to be addressed. On top of that, taking stock of Beta 1 and Final Beta, we still feel that some of the game’s core gameplay is not yet where it should be. We are eager to get the game ready for release and we know that waiting for this to happen can be frustrating. Our main goal with Albion Online is for the game to be a long term success. We want the game to do well even 5 years down the road, and not suffer the crash and burn fate so common in newly released MMORPGs. Final Beta will continue into the next year. Feature roadmap for upcoming wipe and release. If these improvements turn out well, we will release the game shortly there after. There will be an in-beta wipe, most likely in February/March, once we have made the necessary improvements to the game and game world.